Women in Harvard's math department report a bevy of inequalities—from a discouraging absence of female faculty to a culture of "math bro" condescension. 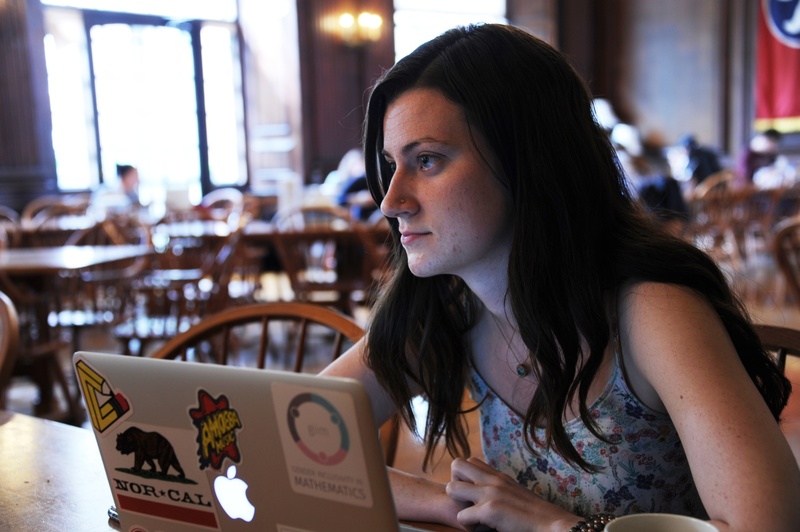 Amanda K. Glazer ’18 was doing homework in the Harvard Math Department common room, an airy, sunny, fourth-floor lounge filled with Ikea-style furniture, when a department administrator asked her to leave. Glazer, a joint Math and Statistics concentrator, says the administrator told her: You cannot be here if you are not a math concentrator. “Well, I am a Math concentrator,” Glazer replied. She says she was wearing a pink dress that day. Amanda K. Glazer '18, a joint Mathematics and Statistics concentrator, sent a survey to math students at Harvard, Yale, Princeton, Brown, and MIT to gauge student opinion on department community. Glazer says she believes her gender prompted the administrator to ask her to leave the room. The incident—according to more than 20 Math Department affiliates, many of whom shared stories identical to Glazer’s—is not an isolated one. 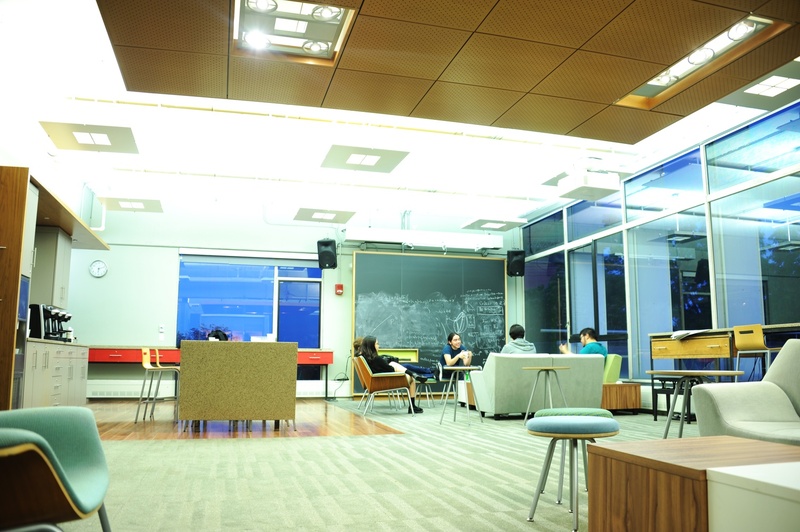 The department has since changed its common room policies, and students say the environment has improved—but affiliates point to the removal of female Math concentrators from their own department lounge as typical of a broader Math Department culture that disadvantages women. Current and former students and faculty—male and female—say the department’s dearth of female faculty and graduate students creates a discouraging environment for women undergraduates; that women in the department are often told to take easier classes than their male peers; and that, in a department dominated by men, everyday faculty-to-student and peer-to-peer interactions leave women feeling conspicuous and uncomfortable. Peter B. Kronheimer, who served as the chair of the Math Department until July, says the Department is aware of its gender issues and is working to resolve them. In the last few years, the department has offered senior professorships to at least three women—none of whom accepted the offers—and has stepped up efforts to recruit female graduate students. Students, too, have taken steps to address these problems, including founding a group—Gender Inclusivity In Mathematics, now two years old—specifically dedicated to making women feel more welcome in the department and to “reducing the gender gap” in math at Harvard. Two plaques hang on the wall of the math common room. 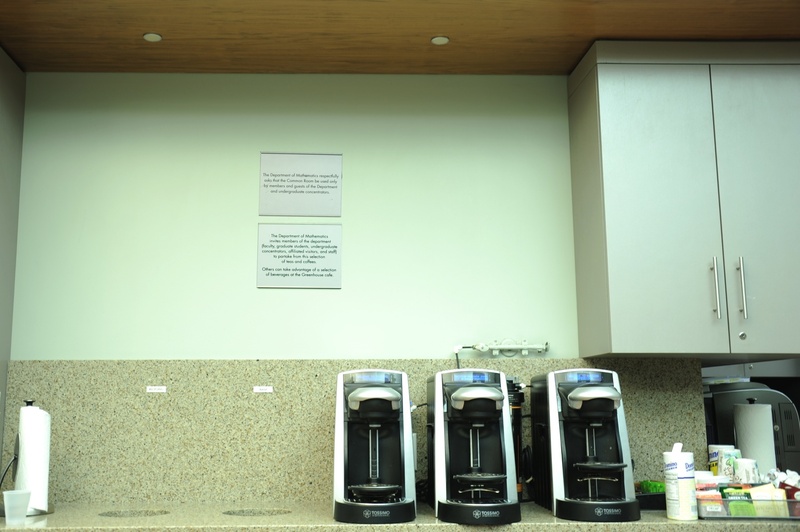 Administrators installed the plaques after undergraduates complained department staffers disproportionately removed women from the lounge. Since the installation of the plaque, Glazer says, no one has tried to evict her or any woman she knows from the lounge. But she calls the experience a reminder of the work that remains to be done. Every Tuesday at 5:30 p.m., a handful of Math students and faculty head to the Mather House private dining rooms for “Math Table,” an optional, informal meeting at which department affiliates present their research and solicit feedback. The Math Department website urges everyone to come. “All students, irrespective of their mathematical backgrounds, are strongly encouraged to attend and/or to give talks,” the site reads. But, in almost four years at Harvard, Math concentrator Jennifer Hu ’18 never considered speaking. Hu changed her mind about Math Table when a female preceptor sent an email over a Math Department list-serv encouraging students to sign up for the program. Hu says she would have deleted the message had it come from “just another” male professor—but getting an email from a woman was different. She decided to present. Harvard’s math department has a long history of gender imbalance. French number theorist Sophie Morel became the department’s first full female professor in 2009, but she left the University for Princeton shortly afterward. Among comparable institutions including MIT, Yale, Princeton, and Brown, Harvard is the only university whose math department lacks a single female “senior” professor—as Harvard defines it, a Faculty member with tenure who must conduct research. Faculty and undergraduates say the absence of women in positions of authority may deter women from pursuing ambitious projects—or even pursuing math at all. In the 2016 spring semester, Glazer sent a survey on “Math Department community” to math students at five schools including Harvard, MIT, Princeton, Yale, and Brown. 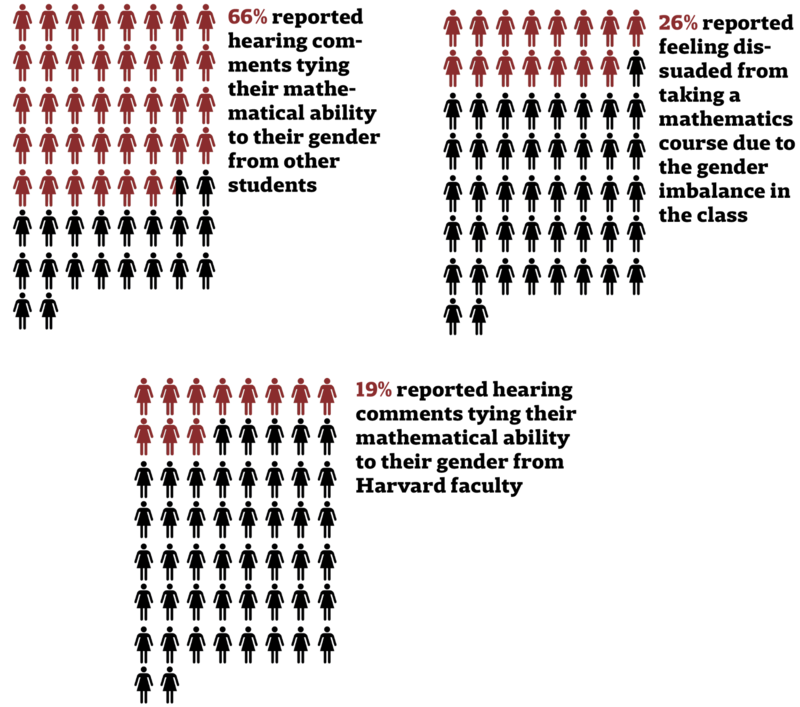 In a full report published online earlier this month, Glazer wrote that roughly 26 percent of surveyed Harvard female math concentrators reported deciding not to take a math course due to “gender imbalance” concerns at some point in their undergraduate careers. More than 80 percent of women Math concentrators responded to the survey. Five current and graduated female math concentrators say they would have felt more confident in their studies had they had senior female role models. “It would have been so much better to just have at least one woman who is tenured in the department,” former Applied Math concentrator Drisana M. Mosaphir ’17 says. Kronheimer says the department has offered tenured professorships to three women in the past decade or so, though none of these women accepted the offers. The department is currently in the process of recruiting several more female candidates for senior faculty positions, though no formal offers have yet been extended. Kronheimer says “diversity issues” like the lack of women remained at “the top of my mind” throughout his tenure as department chair. Some female faculty say they think the department must d0 more. Richardson says the Math Department’s lack of diversity sends a clear message. 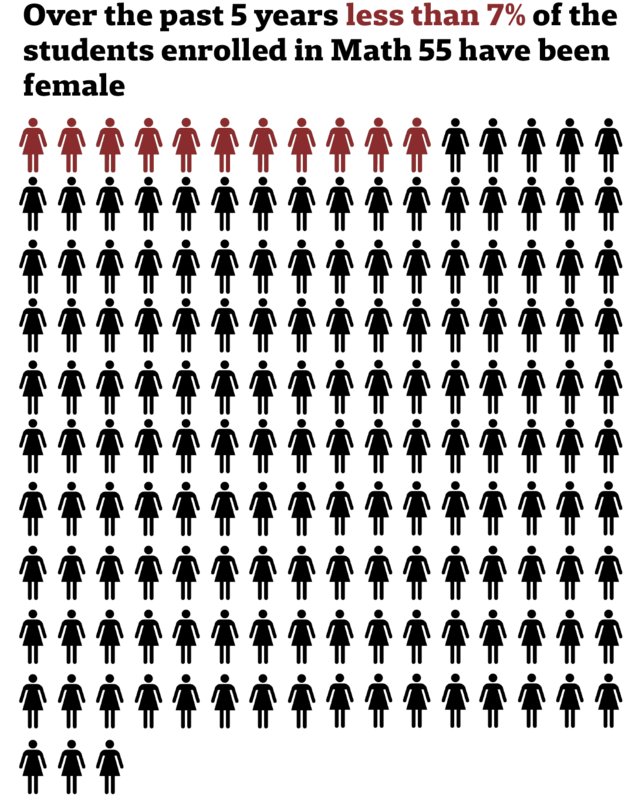 The lack of female faculty mirrors low levels of female Math concentrators at Harvard. According to the National Science Foundation, women claimed 41.7 percent of bachelor’s degrees earned nationwide in mathematics in 2014. Glazer’s survey showed that, over the last six years, the College awarded on average nearly half that percent of bachelor’s degrees in math to women. Math concentrator Jennifer Hu '18 won an award after deciding to present her academic work at a math department-run initiative called "Math Table." Hu presented at the Math Table in April 2017. A month later, she learned her presentation had won the Robert Fletcher Rogers Prize, awarded by Math Department faculty to the two best Math Table talks each year. Hu says the email from the female preceptor first convinced her her research might be “just as important” as the male mathematicians’ work. Though the Math Department’s attempts to appoint senior female faculty have been largely unsuccessful, administrators have had far better luck hiring female graduate students. The 2017-2018 crop of graduate students boasts the highest percentage of women in recent memory, in large part due to two new programs designed to recruit women and debuted last year. But, per policy, the Math department made no attempt to recruit undergraduates from within its own ranks. And as Harvard works to convince women from other schools to pursue advanced degrees in math, some current and graduated College female Math concentrators say they feel—or have felt—discouraged from taking higher-level classes or pursuing a graduate degree in math. The department undertook two new initiatives in the 2016-2017 school year: in one effort, the graduate student admissions committee added two extra members who reviewed only female candidates during last year’s application cycle. Administrators also sent letters to promising female undergraduates around the world inviting them to apply to Harvard’s program, a step Kronheimer says was unprecedented during his tenure as chair. It would have been so much better to just have at least one woman who is tenured in the department. “The common metaphor for the lack of women in STEM fields is the ‘leaky pipe,’ which means that not only are women candidates being overlooked due to perhaps implicit bias considerations, but also women are dropping out of the pipeline for lack of encouragement or lack of opportunity,” he says. “I think of it as just being determined to keep making sure the pipe is not leaky,” Kronheimer adds. Will Boney, a postdoctoral fellow in the Math Department who served on the graduate admissions committee, says these measures stemmed from faculty concern over the complete lack of female graduate students in 2016-2017. The two programs bore fruit: the 2017-2018 class of graduate students is one-third female, according to Kronheimer. This number is nearly double the typical percentage of women graduate students, which has fluctuated between 10 and 15 percent over the last five years, Kronheimer says. For Brooke S. Ullery, another postdoctoral fellow who also served on the admissions committee, the changes to the application process and the extra outreach to female undergraduates signalled a commitment to solving issues of gender diversity. But administrators sent no letters soliciting applications from Harvard undergraduates. So while women around the world received missives asking them to consider Harvard’s graduate program in 2016, some in Cambridge say they felt forgotten by the Math Department. In particular, female Math concentrators say they are often told to take easier classes while at the College. This advice, they say, implies that women should not pursue graduate studies in mathematics. Math 55: “Honors Abstract Algebra” has a cult-like reputation for difficulty on campus; the department website calls it “probably the most difficult undergraduate math class in the country.” In five out of the last ten semesters, no women chose to take Math 55. And over the past five years, less than seven percent of students enrolled in Math 55 were female, according to official course enrollment data. Vikram Sundar ’18, who concentrates in Math, says the “gender ratio” in challenging math classes was one of the first things he noticed when he arrived on campus four years ago. He says he thinks this gender gap is due in part to “differential treatment” of women in Harvard math’s advising system. Applied Math concentrator Mosaphir says Harvard Math Department culture taught her to think of graduate school as an impossibility. She thought being a woman—and not “a naturally brilliant math bro”—disqualified her from pursuing studies in higher math. But after Mosaphir spent six weeks in summer 2016 interning at the Mathematical Sciences Research Institute in Berkeley, California, she gained the confidence to apply to graduate programs. She began a Ph.D. program in pure math at the University of Minnesota in July 2017. Former Math concentrator Caitlin K. Stanton ’14 says she felt steered toward easier classes even before officially joining the Math Department. Her freshman year, she attended a large advising event and asked the man sitting behind the math table whether she should take Math 55 or an easier class. 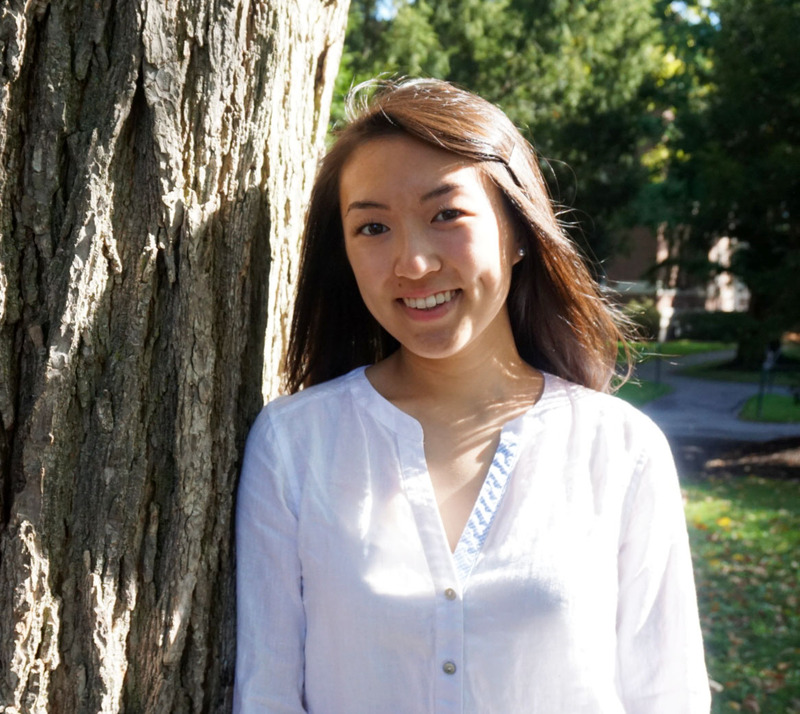 At first, Math concentrator Kathleen C. Zhou ’17 says she was ecstatic to see the 95 on her exam. But before her professor handed Zhou the test, he stopped and double-checked the grade. “Wow,” he told her. Then he passed the test back. Years later, Zhou still remembers this moment. She—along with roughly a dozen undergraduate and graduate women affiliated with the Math Department—say they feel worn down by the casual, questionable asides and comments they regularly hear from male peers and professors. Ullery, the postdoctoral fellow who taught Harvard undergraduates for the first time two semesters ago, recalls one undergraduate who refused to believe she was right and he was wrong about a mathematical proof, despite her repeated explanations. Ullery says she was not certain the student distrusted her because she was a woman—but she wondered. The sexist comments, those things kind of stick in your memory. 19 percent of surveyed female Math concentrators report hearing these types of comments from Math Department faculty members. Kronheimer says the department is working to improve its culture. Some women say they think the math department has become more welcoming in the past two years. Many say the 2015 founding of student-run group Gender Inclusivity in Math has been instrumental in this improvement. They also cite monthly women-only math department lunches, a roughly three-year-old initiative led in part by Gottlieb. Gender Inclusivity in Math co-presidents Cameron A. Krulewski ’19 and Elba Alonso-Monsalve ’19 point to several initiatives the group has undertaken. The two women have helped organize advising events, community-building socials, and “Math Night,” a weekly Monday evening event in Leverett House dining hall where students can informally gather to work on problem sets and discuss math more broadly. Most recently, on Oct. 2, the department received a grant from the National Science Foundation to fund regular meetings between female undergraduates, graduates, and preceptors, an initiative dubbed “Mathematics ClusteRs Engaging Women,” or CREW. To some women, the plaque in the common room also stands out as a sign of progress. But, looking back across Harvard history, Glazer says she is shocked by how much hasn’t changed.